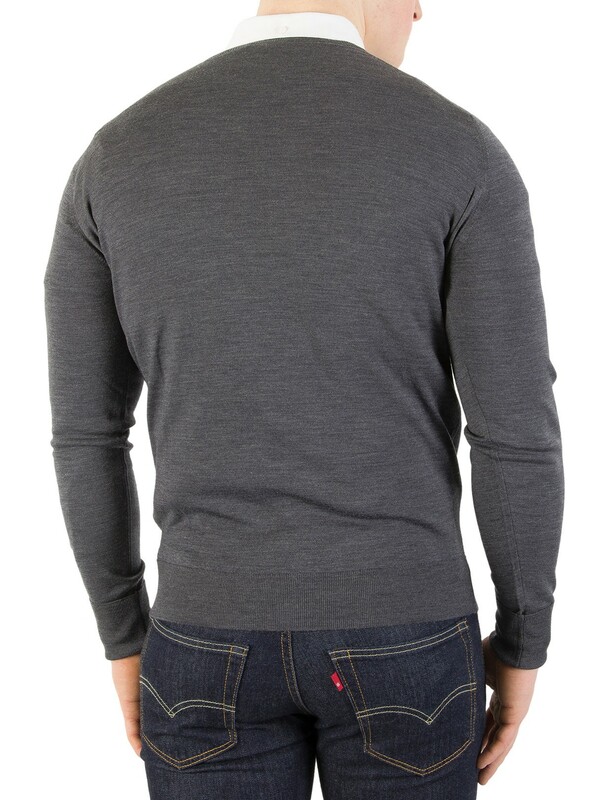 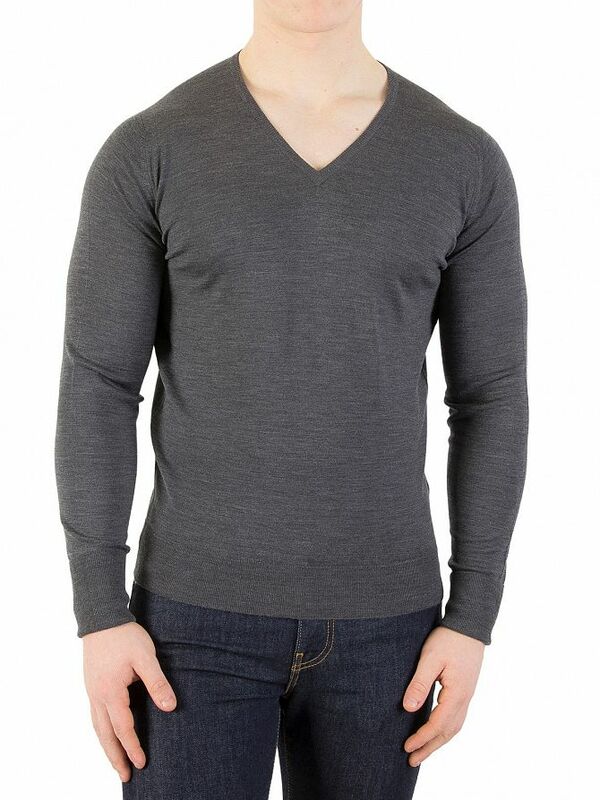 This V-neck Knit is tailored in long sleeves with ribbed cuffs and a brand label on the inner yoke. 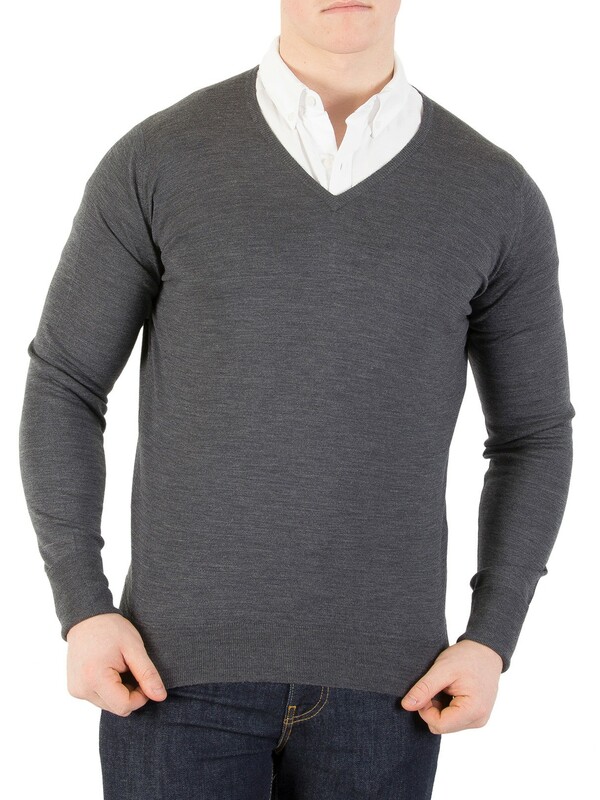 Made from the merino extra fine wool, this Knit is a comfortable wear. 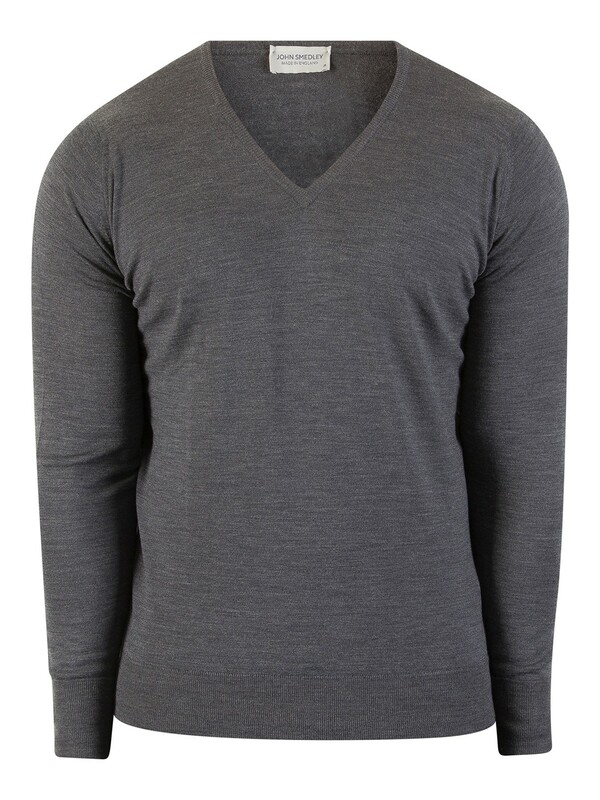 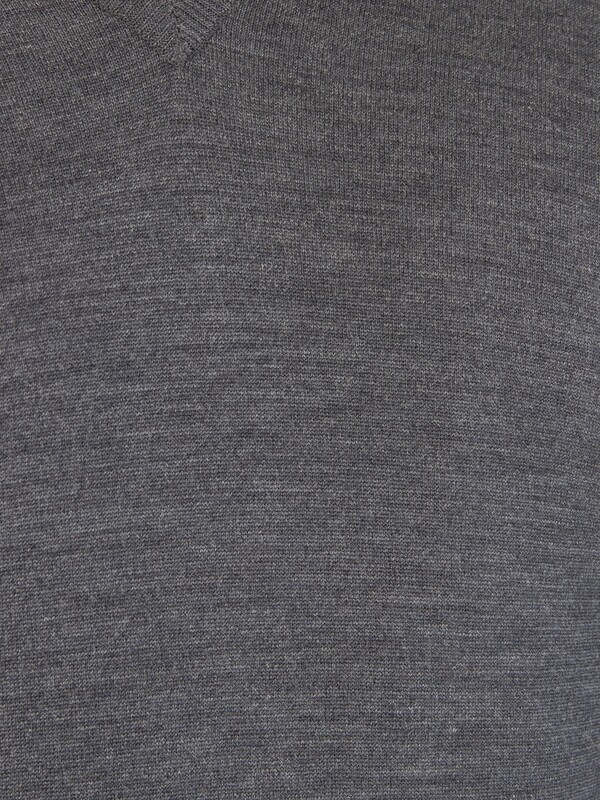 This V-Neck Knit in charcoal from John Smedley has a ribbed neck and ribbed hemline as well.